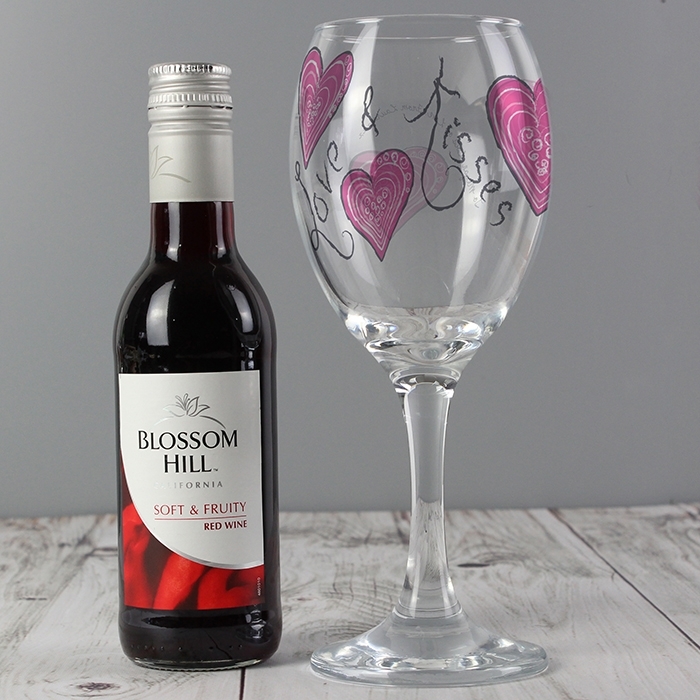 Treat your girl to a little tipple and her very own wine glass in our Personalised Love & Kisses White Wine Set. A set comprising of a fun and funky wine glass which can be personalised, and a miniature bottle of red wine. 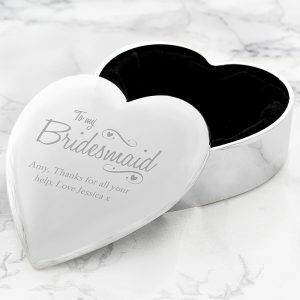 Beautifully presented in a silk lined gift box, it’s a lovely gift idea for a wife or girlfriend on any occasion. 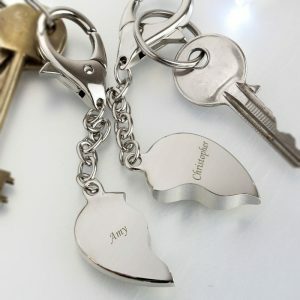 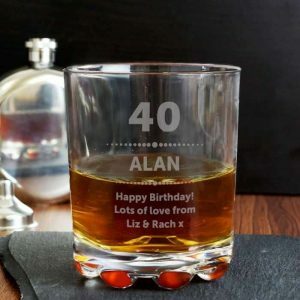 Personalise the glass with any 60 character message (please refrain from using all capital letters), and present a gift she’ll love on her special day. 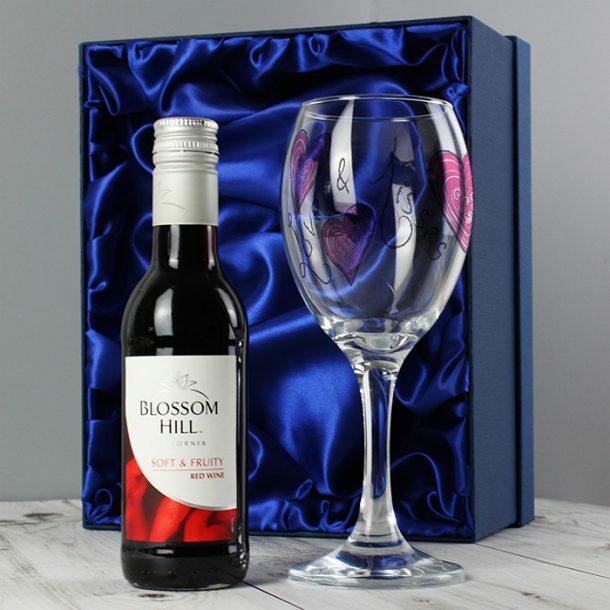 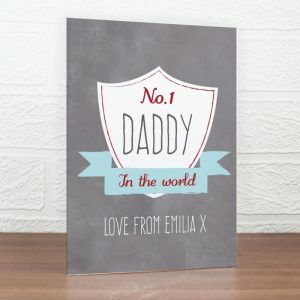 Perfect for helping to relax and unwind, it makes a thoughtful gift, whatever the occasion – Birthday, Christmas, Mothers day and Valentines to name a few for you, but the choice is yours! 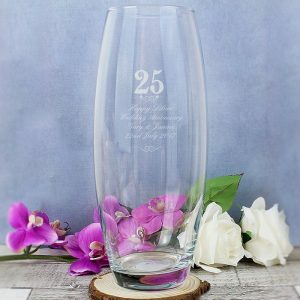 The glass has a frosted appearance on the outside of the glass and will appear differently on the inside.